DigiTran Professional offers a complete CAT software for digital recording of up to SIX CHANNELS OF AUDIO as well as VIDEO (when used with a webcam)! Designed and developed for Voice reporters who have no need or desire to write realtime; this amazing software still integrates with Dragon NaturallySpeaking Premium or Professional 12 (on windows Pro 7 or 8.1) and 13, or Dragon Professional Individual 14 to facilitate automated POST-DICTATION TRANSCRIPTION with only the touch of a button. DigiTran can RECORD and PLAYBACK at the SAME TIME for monitoring of ANY channel and so that there is NEVER a reason to stop the recording during takedown. DigiTran facilitates marking via the following options: F-keys, onboard Numeric Keypad, foot pedal or customizable on-screen Seating Chart via touch (with touch-enabled laptops) or mouse click. 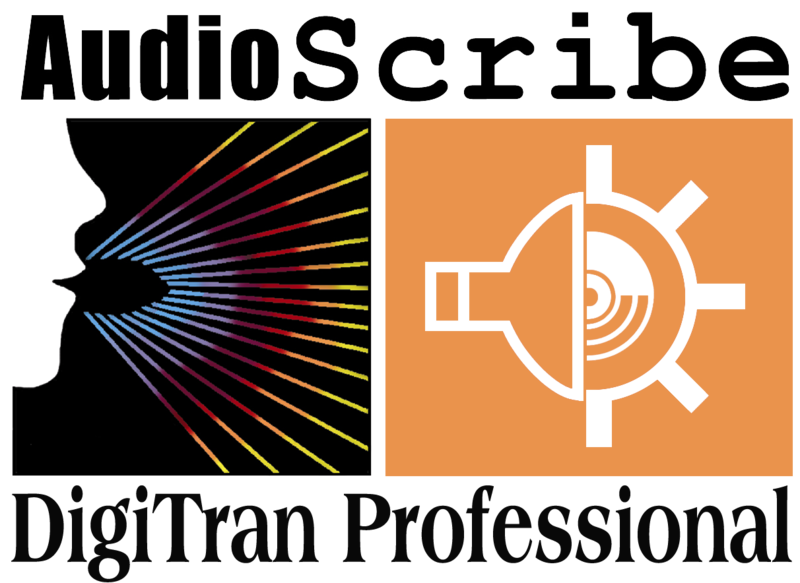 AudioScribe’s image-rich documentation, professional training and knowledgeable support are second to none. Ask about out 30 day evaluation! ¨ With the addition of Dragon Premium or Professional the reporters voice dictation can be converted to text automatically after the fact with the touch of the Transcribe button.